Eating fills your belly. We EAT at Chipotle or Panera. Eating is an act. Dining fills not just your belly. It feeds you heart, mind and soul. Dining is an experience. Dining affords a guest the experience of being engaged and exchanged by something of special value. We dine in establishments who deliver something special, new, creative and/or informative. For dining to be "worth it", it must deliver many or all of these things or it will not provide enough value to seem “worth it”. Value is the margin earned by restaurateur in the premium pricing for a premium product, service and experience. Those, who can provide it to a guest willing to pay for it, earn the trust and advocacy of the guest, stay in business and make a living. Those, who don't, close their doors. 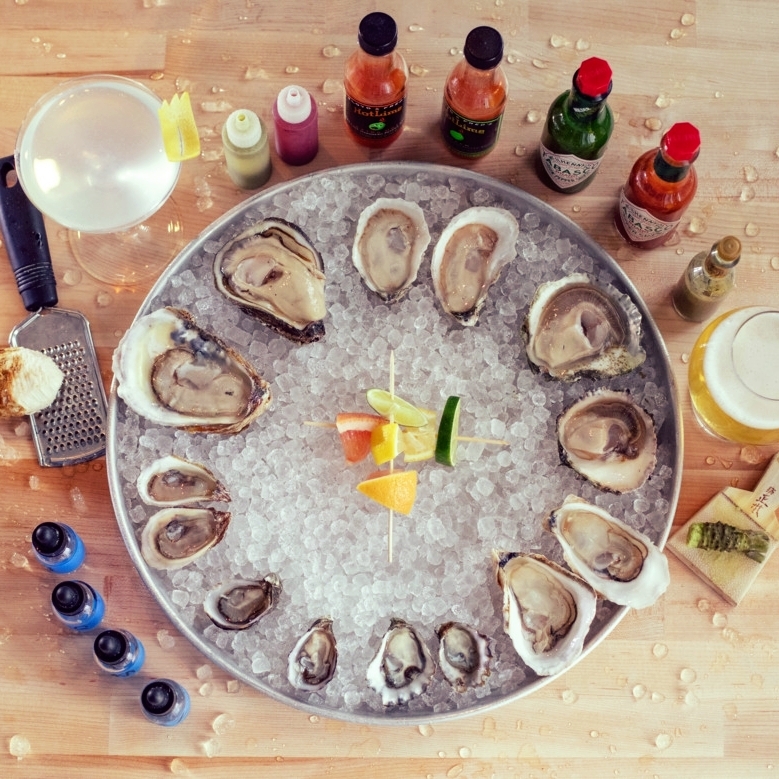 Empire Oyster Bars delivers a dining experience. Our guests perceive value in it. They return to us again and again and they bring friends with them. We provide this dining experience at roughly the same prices as our competitors. This delivers a tremendous value to the value-driven consumers. We are able to do this by flipping the model of the oyster bar from what it has been for 150 years to something we believe to be much better. We strive to be to the oyster bar, what Uber has been to a taxi cab. Our offering, service, product knowledge and experience is head and shoulders above almost anyone else in our space. We know because some of the savviest, well traveled gourmands and epicureans anywhere continue to frequent our oyster bars. If you'd be interested in partnering with us in a venue you currently own or operate, please free to reach out to us through our contact page. We are seeking locations in hip coffee shops, that can work with us to develop a cocktail program for the evening hours, which will compliment our oyster offering. Existing restaurants looking to leverage distressed indoor our outdoor space can do so by working with us to set up a temporary or permanent oyster bar to leverage for publicity and marketing and attract value-driven consumers. Finally, experienced and established operators looking to partner with us on permanent restaurants are also welcome to reach out. 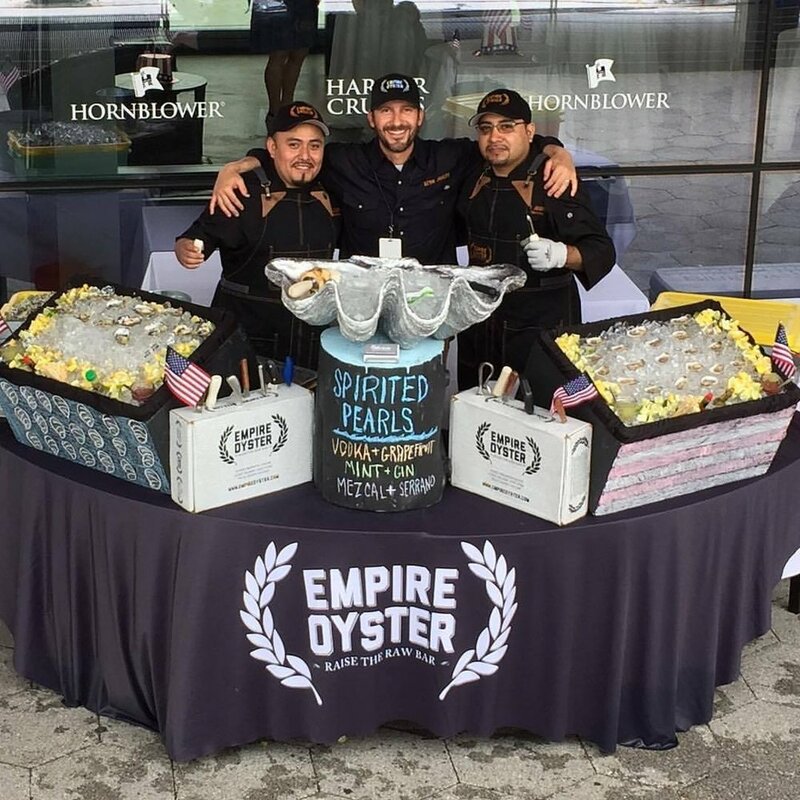 "Empire Oyster" was founded as an event concept in 2014 which was part of New York Oyster Week III. It became a vertically integrated oyster company that has been producing oysters, providing consulting services to oyster growers, restaurants & distributors and opening oyster bars ever since. Our first oyster bar opened in St. Petersburg, FL on March 1st, 2017, as a pop-up and operations continue now into 2018. Our second opened in NYC on July 19, 2017, also as a pop-up @ Megu in The Dream Hotel in Chelsea and ran to great acclaim for 6 weeks. Openings Brooklyn, Harlem and Fishtown (Philly) are planned for 2018. Dozens more are planned for locations all over in the short, medium and long term. We’ve innovated an Omakase Style Oyster Service which engages and enchants our guests as it edu-tains them. This service style, dedication to the finest product and our product knowledge allows us to Raise The Raw Bar with our elite oyster catering and oyster bar experiences. With our consulting services we help other oyster bars, restaurants and chefs to do the same. Empire Oyster was founded by Master Mermmelier Kevin Joseph in New York City. For him this company was a way to Live On Purpose and help others to do the same. This is not just a way to make a living, but a way to make a difference too. His success in a commitment to the protection, preservation and restoration of oyster producing habitat and jobs is something is something he re-visits daily. Kevin was born into a seafood restaurant family with operations in East Hampton (Montauk & Springs). Kevin’s Grandparents Joe McCully & Emma Ferrucci had migrated East on Long Island in the late 60’s after successful operations in Queens and Huntington, LI in the 30’s, 40’s, 50’s & 60’s! They encouraged Kevin’s parents to come back to East Hampton from Vail, CO in 1971 and take over operations of The Fat Flounder in Springs as their hands were too full with their Montauk store (The Flying Fish). Terry & Joe McCully were a true New York Restaurant family raising 3 children, Terry, Joe & Joanna. They’d all participate in the family business. Upon the passing of Grandpa Joe, Terry took the operation south to Bonita Springs, FL. In 1977 and opened McCully’s Rooftop Restaurant on Bonita Beach with her son, Joe McCully Jr.. Kevin grew up working in the kitchen and on the floor of that restaurant and continued to work in seafood forward restaurants in Boulder, CO after moving there to attend University of Colorado in Boulder. In 2009 Kevin moved back to NYC and created a life and a living with oysters by founding and operating New York Oyster Week & The OysterHood. He has committed almost all of his time and energy to oysters since then.